Chuck and Nancy Geschke will receive the St. Elizabeth Ann Seton Award from the National Catholic Educational Association (NCEA) for their ongoing leadership and philanthropic contributions to Catholic education. The award will be presented during the 22nd annual Seton Awards ceremony Oct. 1 at the Ronald Reagan International Trade Center in Washington, D.C. The Seton Award is NCEA’s highest honor, given in recognition of significant contributions to Catholic education. The award is named in honor of St. Elizabeth Ann Seton (1774-1821), the first native-born American saint. The accomplishments of the Charles M. and Nancy A. Geschke Foundation underscore the importance of the well-being of our nation’s youth and of keeping Catholic schools vital and available for the next generation. The Geschkes have provided leadership to the University of San Francisco, Xavier University of Cincinnati, Marygrove College in Detroit, the Catholic Foundation of Santa Clara County and Magnificat and St. Ignatius high schools in Cleveland, among other important endeavors. 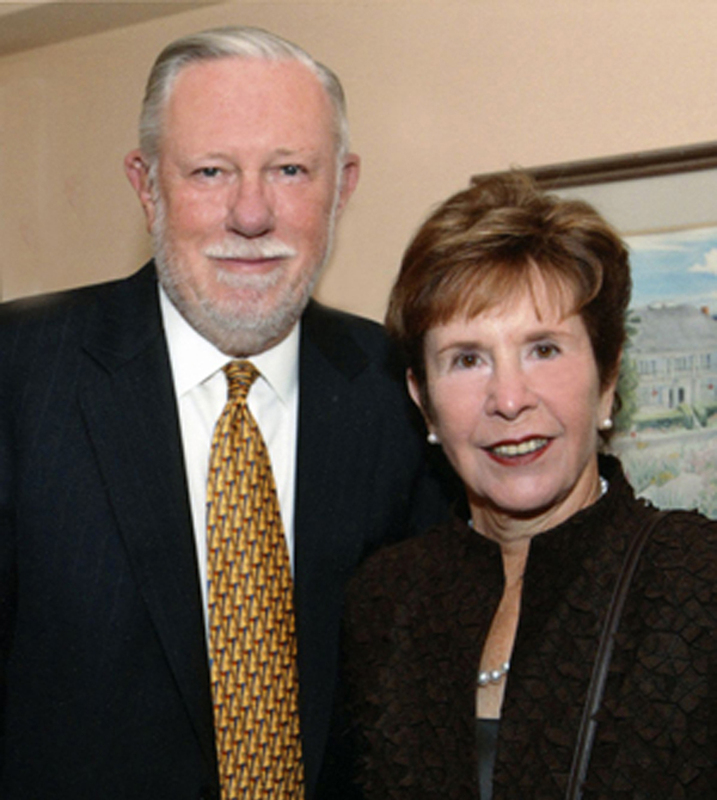 Through their support of the Endowed Faculty Fund, the construction of the Geschke Learning Resource Center and Charles Geschke’s role as the inaugural holder of the Rossi Entrepreneurial Chair at the University of San Francisco, the Geschkes have been instrumental in advancing education. Nancy Geschke, a Marygrove College alumna, was instrumental in creating Marygrove’s Nancy A. McDonough Geschke Writing Center. She recently was named to the board of trustees at the Detroit college. Nancy Geschke also has spearheaded a capital campaign to revitalize both the building and operations of the Nantucket Athenaeum in Nantucket, Mass. Charles Geschke, a graduate of Xavier University, began a teaching career at John Carroll University. In 1982 he co-founded Adobe Systems with John Warnock and built Adobe into one of the world’s largest software companies. Now co-chairman of Adobe’s board of directors, Geschke also serves on the boards of several educational institutions and arts and non-profit organizations. Robert A. Conway, Cincinnati, philanthropist and co-founder of The Bistro Group, for his expansive support of Catholic educational institutions in Greater Cincinnati. Leigh-Anne Kazma, Chicago, who has dedicated her career to the patronage of Catholic education through the generous efforts of the Kazma Family Foundation. Tom Moran, New York City, chairman and CEO, Mutual of America, for his benevolent corporate sponsorship within the Archdiocese of New York. Cardinal Sean O’Malley, archbishop of Boston, who has renewed and revitalized Catholic education in the Archdiocese of Boston. Lorraine Ozar, associate professor of education at Loyola University Chicago, will receive the NCEA President’s Award for her vision and leadership in the development of effective Catholic school curricula and instruction. For reservations or additional information about the Seton Awards, contact Xaverian Brother Stephen Comeau at (571) 257-2891. NCEA, founded in 1904, is a professional membership organization that provides leadership, direction and service to fulfill the evangelizing, catechizing and teaching mission of the church. NCEA’s members include elementary schools, high schools, parish religious education programs and seminaries. Next Next post: Library to Stay Open All Night 5 Days a Week!